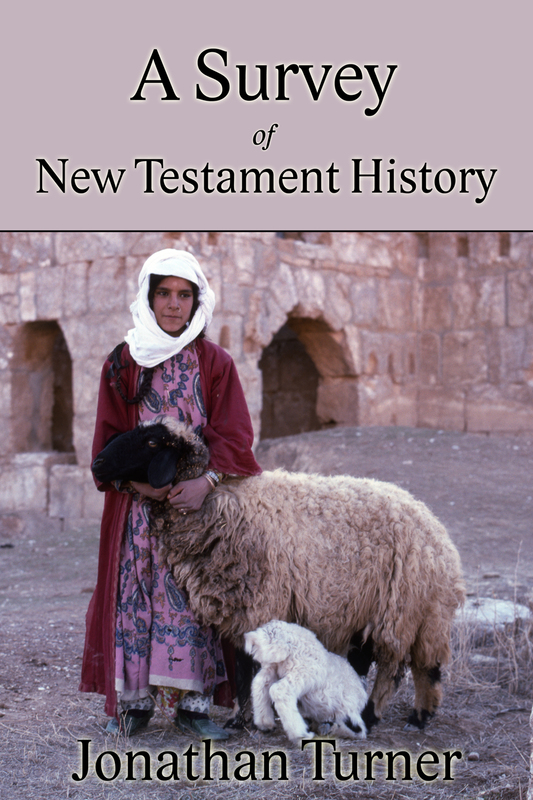 Several years ago I prepared and taught a course on New Testament History. The course was well-received. So, after some updating and revising, I've published the lessons in book form. You can get the both paper and electronic versions from my author page at Amazon. I hope the book blesses you as much as it did me while I was writing it! My wife and I left the program with decidedly mixed feelings. On the one hand, the young people from our congregation we had gone to support did a bang-up job. The acting and singing was superb. On that level we thoroughly enjoyed the performance. On the other hand we were, to put it mildly, bemused by the mixed message we’d gotten. I, in particular, was having a hard time processing what we’d seen and heard because of my background. The musical would have been totally inappropriate in the culture and country in which I grew up. In fact, the believers I know in that land would have been highly offended. They would have considered the musical blasphemous. Perhaps one of the most perplexing conundrums people face is the notion of free will, on the one hand, and the sovereignty of God on the other. Unless people have true freedom of choice, how can God possibly be just in punishing anyone for doing evil? How can God hold them responsible for something which God made them do and in which they had no choice? On the third hand, both good Calvinists and Muslims maintain that if things can happen which are contrary to God’s will, it means that God is not totally sovereign – His power is diminished. The answer is, of course, that though God is totally sovereign, He has deliberately limited His own power, for a time, to allow people genuine choice. Nothing can happen that God does not allow, but He allows things which are contrary to His will. Because God allows people to choose He can also, with perfect justice, hold them accountable for their choices. What Did I Agree To Do When I said, “I Do”? A look at the practical application of covenant. Several years ago a friend of mine opened my eyes to the importance of covenant. He pointed out that we Christians can’t really understand our relationship to Christ and God without understanding covenant. He’s right. That’s how the New Testament describes our relationship. When you get right down to it, the Bible is not so much a record of history as it is a record of covenant history. In fact, the word “Testament” which we use to label the two major sections of the Bible is simply another word for covenant. But what is a covenant? It’s my observation that even though we are in a covenant relationship with Christ and though Christ called the Communion we celebrate – many of us each week – a new covenant in his blood (1 Corinthians 11:25, etc. ), few Christians really know what a covenant is. They would be hard pressed to define it or explain covenant to someone else. Read more about What Did I Agree To Do When I said, “I Do”?